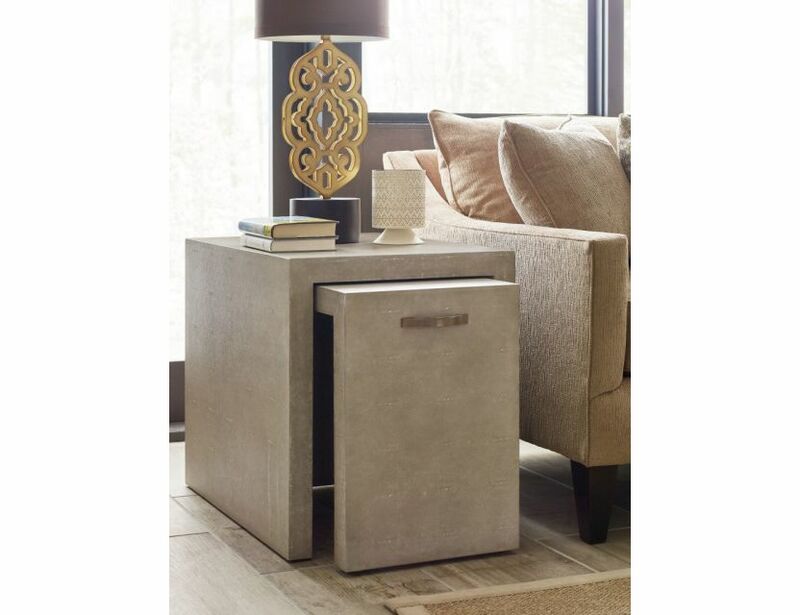 Vernon nesting end tables will fit anywhere. 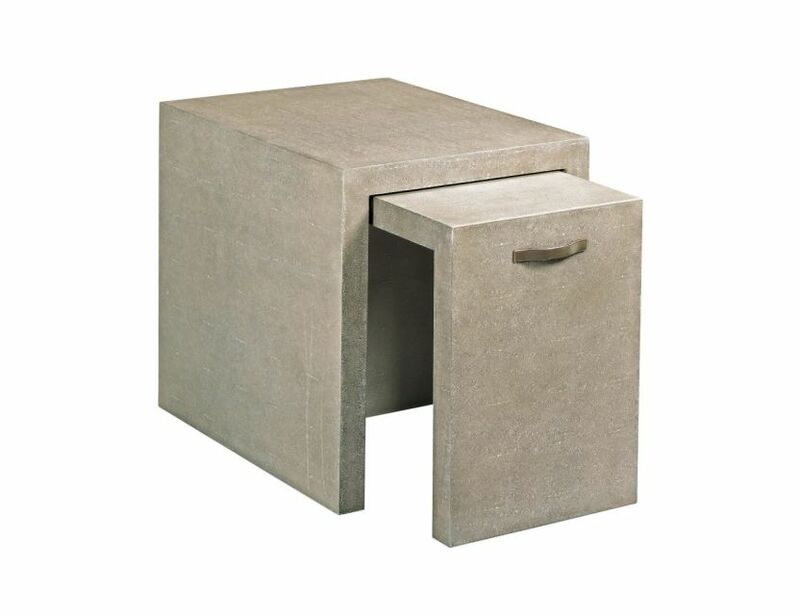 They are the perfect side table for small areas, a large and small table in case you need to use it elsewhere. 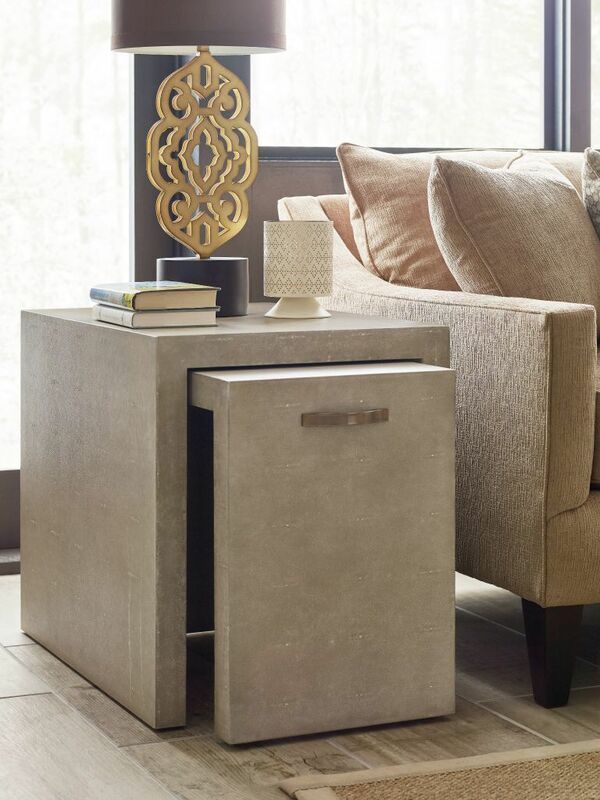 Faux shagreen with bronze nickel hardware. There is so much aesthetically pleasing about nature’s handiwork. And with the materials themselves as inspiration, AD Modern Classics avoid the contrived, ephemeral style of typical contemporary furniture. 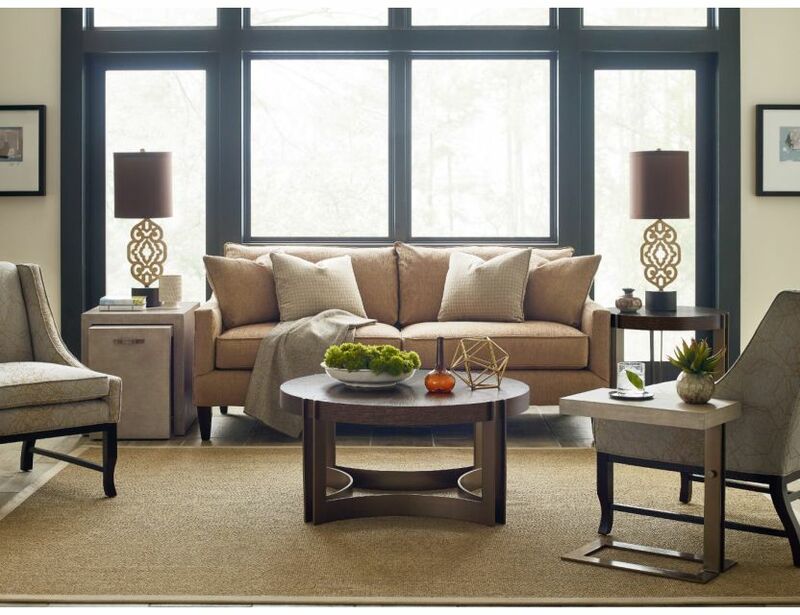 With the use of dyed weathered oak, accents with exotic birdseye maple, and finishes that maintain the inherent beauty within the grain, we achieve something authentic and comfortable. Unique shapes and styles merge with the interplay of these natural materials for a bold and timeless take on modern.